Katie Connelly, a research assistant at San Francisco State University, is at a crossroads in her life. Alone, and struggling with the loss of her father, an iron worker on the Golden Gate Bridge who was pulled to his death while trying to save someone from jumping, she immerses herself in her job. While researching the history of the bridge, she finds a journal from an Irish worker named Patrick O'Riley hidden behind one of the panels on the bridge. Patrick was one of the original builders in the 1930s, and the journal records his deepest desire to bring his wife to America and is filled with pithy aphorisms that Katie has often heard from her father. Discovering the journal gives her strength because it reinforces the connection to her father and also because she sees in Patrick and Anna's story what real love and loyalty look like, which helps her believe such things are possible. Using her research skills, she tries to track down a member of the O'Riley family so she can return the family heirloom. Dave Riley is a marketing executive in New York. He has a great job, a terrific wife, and amazing children--and he's turning forty. When he confides to his wife that he's always longed to buy a motorcycle and ride to the Golden Gate Bridge, which his grandfather--Patrick--helped build, she indulges him by buying him a black leather jacket for his birthday and upcoming trip. But when a tragic car accident takes the lives of his wife and children, Dave is devastated. Longing for answers, Dave sets off on his brand-new Harley toward San Francisco in search of hope, understanding, and peace. On his way to the bridge, Dave's bike breaks down near a small town in Colorado. He is befriended, reluctantly at first, by a single mother and her three young children. There is an immediate connection between the two of them, but Dave is determined to complete his goal. Yet, when he finally reaches the bridge, he is overwhelmed with memories of his lost family and contemplates taking his own life. 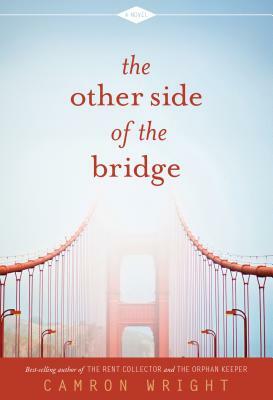 Katie is drawn to the bridge the same evening and, just as her father had once persuaded dozens of people to not commit suicide, she finds herself in the perfect place at the perfect time, able to connect with Dave at a critical point of his life and shift his focus from his dark thoughts until he comes back to himself. It isn't until weeks later that Katie is able to return the journal to him and learns that Dave has found a home in Colorado and is building a new relationship with the woman he met there. Two strangers, three thousand miles apart, may have little in common besides heartache, unanswered questions, and a bridge that silently beckons. But Dave and Katie's unusual connection to the same journal brings them together and unlocks the hidden strength inside themselves, allowing them to leave behind their isolation and heartache and find new purpose for their lives. Camron Wright holds a master's degree in writing and public relations. He says he began writing to get out of attending MBA school, and it proved the better decision. His first book, Letters for Emily, was a Reader's Choice award winner, as well as a selection of the Doubleday Book Club and the Literary Guild. Camron is the author of the award-winning novels The Rent Collector and The Orphan Keeper.